In a life that is filled with stress and worries, Medhya brings you the ayurvedic way to a better life. Ease your mind and body into a healthier way of life, because with its combination of magical ingredients, Medhya will let your body heal from within and make your mind sharper, stronger and ready to take on the world! We live in a world where we are constantly stressed and there are several things weighing down on our mind, at once. With a fatigued mind, having a healthy body is often troublesome and this creates a cycle so vicious that we find ourselves defeated. What many people are not aware of is the fact that when your mind is stressed, certain chemicals are released into the bloodstream, which in turn leads to several medical conditions. Studies have shown that stress can lead to several conditions such as obesity, heart conditions, diabetes, gastrointestinal problems, asthma and even Alzheimer's. Stress is not something that will affect us on a short term – on a short term, stress could lead to loss of sleep, decreased productivity and memory, a sense of lethargy, headaches and a general loss of interest in things. Stress can also lead to panic attacks, chest pains, elevated heartrate and blood pressure, shortness of breath and dry mouth. However, it is what stress can do in the long run that is more worrying – if you are constantly under stress, you could be inviting more serious health conditions such as asthma, diabetes and obesity and it can lead to premature ageing and hair greying. However, the answer to all these problems is actually quite simple – introducing KNB’s Medhya, an ayurvedic solution to almost all of these above mentioned problems. The word Medhya comes from Sanskrit and refers to intellect and cognition and the ingredients and formulation of this Ayurvedic formulation are meant to do exactly that. 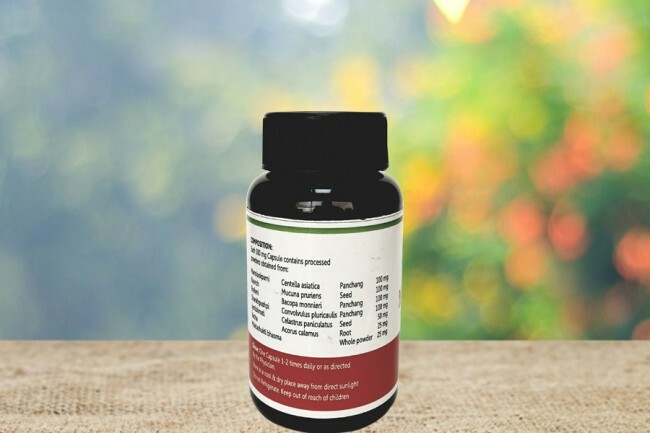 Made using natural and extremely potent ingredients such as Brahmi, Shankhpushpi, Mandukparni and Jyotishmati, Medhya will not only help reduce stress in your life, it will also help you focus better, improve your memory and cognitive skills and give your body the chance to heal and rejuvenate naturally. Very nice product without any side effects. The house of KNB has its roots in Ayurveda and we are strong believers of curing the root causes of an ailment, rather than just the symptoms. Fortunately, the tenets of Ayurveda do the same and the ingredients which form the base of this ancient medicinal practice are known to help heal the body from within. 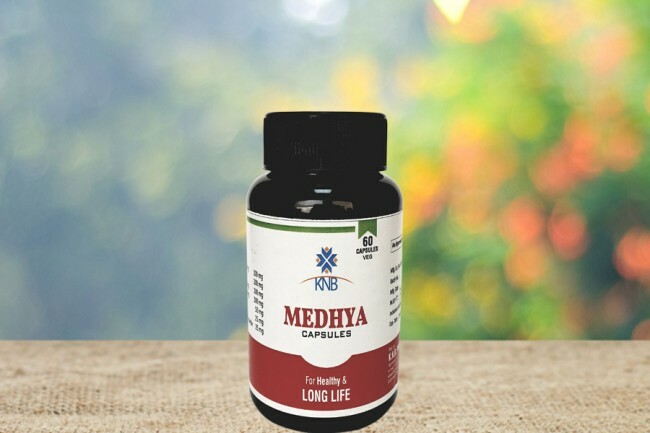 KNB’s Medhya is the perfect combination of incredible herbs such as Brahmi, Shankhpushpi, Mandukparni and Jyotishmati, which not only improve memory and brain power, but also help in relieving tension and stress naturally, along with improving sleep patterns. In a life that is filled with stress, anxiety and often insomnia, Medhya is nature’s perfect solution. Bacopa Moneri or Brahmi is known as the herb of grace as it is known to provide mental clarity, improved brain cognition and better mental prowess. While it can make you smarter, it can also ensure for you a better night’s sleep. Some of the other things that Brahmi can help with include alopecia, attention deficit hyper activity disorder (ADHD) and has also shown improvements in people suffering from Alzheimer’s. Mandukparni, another ingredient present in KNB’s Medhya capsules is known to help with psychiatric and psychosomatic disorders. This ingredient possesses anti-depressant and anti-insomnia properties, allowing you to feel calmer and sleep better. Regular consumption of mandukparni can ensure improved cerebral metabolism, leading to improved memory and faster cognition. You can take 1-2 capsules with lukewarm water or milk, twice a day, after your meals. Alternately, you could talk to your physician and prescribe to whatever dosage they suggest.